The World of Richard III – History… the interesting bits! Today is the last day of Kristie Dean‘s Blog Tour to celebrate the release of her latest book, On the Trail of the Yorks. Congratulations to Kristie on what has been a wonderful virtual book tour – and ‘thank you’ for asking History…the Interesting Bits to be a part of it. So, I think, for the last day, it is only fair to give you my review of this remarkable book. Richard III is probably the House of York’s best-known figure, but the other members of the family are just as intriguing as the king who fell on Bosworth Field. This book explores the places associated with members of this fascinating family and discovers their stories through the locations they visited and inhabited. It reveals the lives of the Yorks by exploring the cathedrals, castles, battlefields and manor houses that shaped their history. Featuring locations such as Fotheringhay, Baynard’s Castle, Durham Cathedral and the Palace of Westminster, among many others, this book brings each site to life, giving a gripping account of its heritage as well as accurate information for the visitor. Extensive descriptions and an array of illustrations and photographs recreate these poignant and sometimes controversial locations, immersing the reader in the ancient and intriguing world of the Yorks. 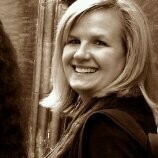 Just over a year ago Kristie Dean published her book, The World of Richard III. This was a unique book with its own inimitable style. A combination of history book and travel guide, Ms Dean told the story of Richard III through the geographical locations associated with him. 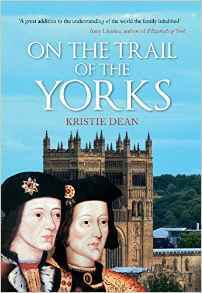 In On the Trail of the Yorks Kristie Dean has extended her research to include the rest of Richard’s family, from his father the Duke of York through his wife and brothers to his niece, Elizabeth of York, queen of Henry VII. The book is laid out in an easy-to-follow format, with each main character of the Yorkist dynasty getting their own chapter. The chapters then follow a loosely chronological manner, based on when the locations were used, or visited, by the person in question. Ms Dean always gives a history of the association between the Yorks and the historic site, while also giving a general history of the location. The book acts as a practical guide for each location; giving not only useful contact details, but also travel information and what to look out for while you are there. The centre of the book has a treasure trove of colourful and black and white images. Including portraits depicting leading members of the House of York and photographs of the places the Yorks and Kristie Dean have visited. The wonderful pictures help to bring the history to life and you find yourself flicking between the descriptions of the various sites and the related pictures. Kristie Dean also discusses locations which are no longer available to us. Her description of Old St Paul’s Cathedral, which was destroyed during the 1666 Great Fire of London, is so thorough and passionate that it leaves the reader bereft at the thought of what is lost. Some places are familiar to any fan of the Yorkist dynasty; York, Fotheringhay, Ludlow and, of course, Middleham. While other locations are less-instantly recognisable as having Yorkist connections, but just as interesting; castles such as Conisbrough and the shrine of Our Lady of Walsingham. The book itself takes you from locations in England to Ireland and into France and the Continent, with comprehensive travel information as you go; giving you a tour of some of the best historic sites that Europe has to offer – whilst never moving from your armchair. No matter how familiar it is to us, each location is given the same level of attention, with detailed descriptions of the site, the things to see – and what not to miss – and the Yorkist story behind it. Kristie Dean builds up the personal stories of the individual members of the family through the buildings and places particularly associated with them. Few other places have survived to offer the York enthusiast such a rich tapestry of history; few other places allow one to stand under the same roof where so much history has passed. The atmospheric presence of those long gone can be felt, separated from today’s visitor by only the thin wall of time. You might feel hurried to move on to the next room, but find a corner and stand for a moment to experience the atmosphere….. This book allows the reader to vicariously visit the locations associated with the family of the House of York, with the history of each site, descriptions of what it would have looked like in the 15th century and descriptions of what is available to visit today. You can vividly imagine being in Staindrop Church, or the church at Fotheringhay during the re-internment of Richard Duke of York in 1476, or feasting at the castle afterwards. Kristie Dean’s own information and knowledge is enhanced by her use of contemporary quotes, to give past descriptions of the locations and of the events she is describing. It would be easy for a book of this kind to be confusing and higgledy-piggledy, but the author keeps focussed throughout and makes the book easy to follow, both as a history book and as a guide-book; keeping on topic and explaining any overlaps. The work is thorough and impressive in the blend of history and geography, allowing you to use the book as a general history and tour guide, while each chapter and location is designed as a standalone guide, allowing you to drop in and out of the book as you please; a useful tool when travelling. In short, this is a wonderful resource for both the armchair traveller, and the historical tourist, enhanced by photographs of locations and a level of detail that is second-to-none. It is a ‘must have’ on the book shelves for any fan of Richard III, the House of York or the Wars of the Roses in general, in order to enhance our knowledge of the period. Kristie Dean has an MA in History and now enjoys teaching the subject, following a successful career in public relations. Her particular historic interest is the medieval era, specifically the Plantagenets, the Wars of the Roses and the Tudors. When not traveling for research, you can find Kristie at home in Tennessee with her husband, three dogs, and two cats. On the Trail of the Yorks is available now from Amazon UK and from Amazon US in May. And The World of Richard III will be released in paperback in May 2016, with its new title …. On the Trail of Richard III. This week I have the great pleasure of starting off Kristie Dean’s Blog Tour, in honour of the launch of her new book, On the Trail of the Yorks. Just a year ago she published the book, The World of Richard III and on Monday her latest offering, On the Trail of the Yorks goes on sale in the UK. Kristie’s books are a unique and fascinating blend of history and travel writing; they bring to life the castles, palaces and other locations associated with one of the ,most famous kings – and families – in British history. Here, she talks to me about her love of history and writing. When I was a little girl I would spend my time creating stories for the other kids. I also wrote and distributed a neighborhood newspaper. I was always writing – poems, short stories, and even reports. I wrote a research paper for my 7th grade teacher and she later talked to my parents, telling them I was pushing myself too hard. It wasn’t that; I just couldn’t stand a blank page, and so I was always looking for new ways of writing. With a career as a teacher, how do you discipline yourself to write? When I am working on a book, writing consumes my life. I come home from work and write for three or four hours plus I write all day Saturday and most of Sunday. If I have a school event or my husband convinces me to go out, I take that evening off. I take a week off every May to take my students to Washington DC, although I do take research materials to read on the bus. I also am a mentor teacher at my school, so that takes a chunk of time. But, just like writing and teaching, it is worthwhile and enjoyable. At 5 p.m., I get home and write until at least 8 p.m. On weekends, I am researching/writing by 9 a.m. and usually going until 5 p.m. If I am writing about a certain location and I am in a ‘zone’ I will often continue until I am done. How many projects do you have going at once, or do you concentrate on one at a time? With my time constraints, I usually have one or two in the back of my mind, but I only work on one at a time. I would love to be able to work on two or three projects at a time. Authors who are able to do this amaze me. Your books are quite unique, a combination of history and historical locations, what made you decide to write them this way? I traveled to Europe several times and always ended up frustrated with my guidebooks. I ended up making my own guides to each location for myself and fellow travelers to reach deeper in the history. Since I was particularly fascinated with the Plantagenets (especially Richard III) and Anne Boleyn, I was frustrated there weren’t any guides to places associated with them. Then a member of a history group I am in wrote an excellent guide for Anne Boleyn. This helped me to realize that I wasn’t the only one who wanted to explore the history of a location, so I decided to start with the historical figure I was most interested in, which was Richard III. How long do you spend researching your book before you start writing? This is a tough one to answer since it varies. I already had a great deal of information on Richard III and the Wars of the Roses, so much of my research involved the locations associated with him. However, I have been researching for a fiction book for years. Whether it ever sees the light of day is a different story. I love getting to delve into the lives of historic figures and locations. I also like visiting each place to get a feel for it. I enjoy trying to make history come alive for my readers. The long hours of solitude. It can get lonely, and when I am up against a deadline I do not have time to go out with friends. How long does it take to do a project from start to finish? About a year. It depends on the book and how much research I’ve done prior. It also depends on where the research takes me. I became interested in Margaret of York while writing my latest book and spent several hours researching information that I did not even need for the book. Have you ever considered writing a novel? What would it be about? (Laughs) Oh yes, I have. It would be a thriller, I think. I love reading those types of novels. I might eventually do an historic fiction novel, too. Who are your favourite personalities from history? Oh my. It would be easier to answer who doesn’t interest me, but I will give it a try. Richard III, obviously. Anne Boleyn, All the Plantagenet queens, St Margaret, Margaret of York, Cecily Neville, Anne Neville, Llywelyn Fawr, and several lesser known women from history. From a more modern time, Winston Churchill intrigues me. What are your favourite places from history? All of England, Scotland, and Wales. I feel like the area is a second home for me. I love traveling and exploring each region. Middleham Castle is one of my favourites, as well as Llanrhychwyn Church, which is believed to be the oldest church in Wales. This little church is a gem, said to have been built by Llywelyn Fawr for his wife, Joan. I had a difficult time finding it, but Sharon Kay Penman helped me by putting me in touch with someone who lived in the area. Pam took me straight there, and I was immediately enchanted. Your last book was The World of Richard III and the new one is On the Trail of the Yorks, what is it that fascinates you about Richard III and the House of York? I have been fascinated by that time period for a long time. It’s a time of turbulence, a time of changing allies and enemies, and a time of controversy. It just pulls me in. Originally, I was interested in the controversy surrounding Richard III, but now I am captivated by the entire period. On another note, The World of Richard III is going to undergo a title change to On the Trail of Richard III for the paperback version. This will keep the two books aligned. 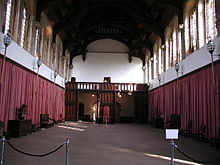 Would you ever consider doing a book about the House of Lancaster and the locations associated with it? I would, but I think many of the locations would be the same. 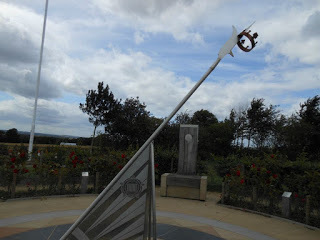 Of course, the difference would be what the Lancastrians would be doing at each location. It is certainly an interesting idea. Not often. When I do it is a sign that I need a break. So, I get up, play with my three dogs and two cats or take a walk outside. Or I clean the bathroom. I am always excited to get back to writing after that. Do you find social media – such as Facebook – a benefit or a hindrance? It’s a benefit, but I confess to not being the best at it. I don’t get around to the various groups as often as I want, so sometimes I am out of the loop. I do have several wonderful Facebook friends who help me admin my groups and keep me up to date on what’s happening in the other history groups. What is be your next project? I have a book about locations associated with some of history’s forgotten women brewing in my head, but it has a serious contender in Margaret, Mary and Arthur Tudor. I am not sure which will win out in the end. I am taking a much-needed break right now to collaborate with some friends on a joint project. I will spend two weeks in East Anglia this summer with them doing research. I would like to extend a huge ‘thank you’ to Kristie Dean for her wonderful answers and wish her the every success with her latest book. And look out for my review of On the Trail of the Yorks next week! Kristie Dean has an MA in History and now enjoys teaching the subject, following a successful career in public relations. Her particular historic interest is the medieval era, specifically the Plantagenets, the Wars of the Roses and the Tudors. When not traveling for research, you can find Kristie at home in Tennessee with her husband, three dogs, and two cats. On the Trail of the Yorks is available from Amazon UK from 15th March 2016 and from Amazon US in May. 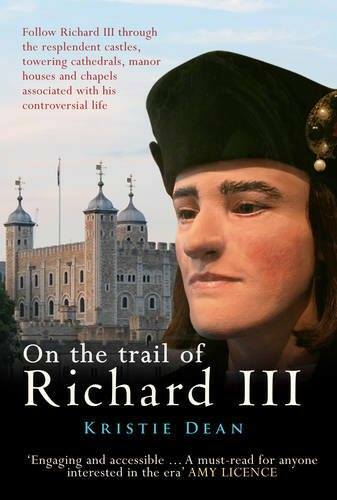 And On the Trail of Richard III is due for release in paperback in May.